Centra Developments’ new website has been launched. 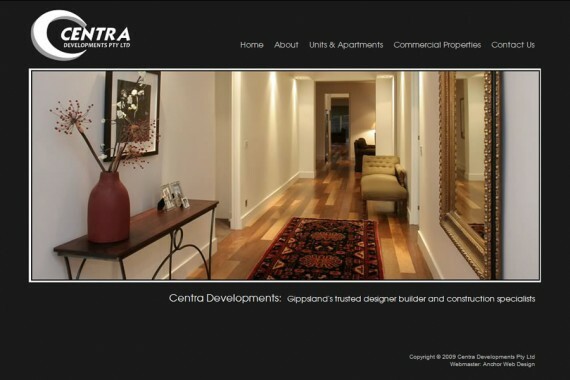 The design of CentraDevelopments.com.au reflects the modern look of their business and their motto “Gippsland’s trusted designer builder and construction specialists”. The simple yet artistic approach we took with this design reflects the tried and true saying “an image speaks a thousand words“.